Africa’s future is in their hands. Their future is in ours. 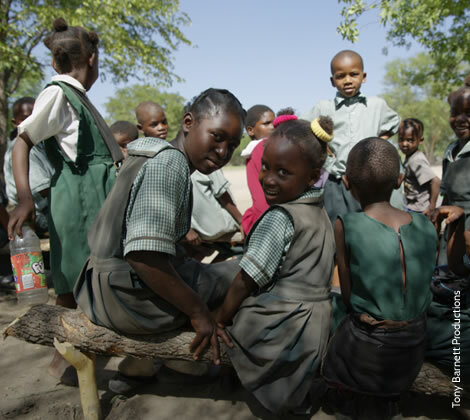 Rural children in Africa are being left behind. But by providing them with a quality education today, Classroom Africa can prepare these kids to be the leaders of tomorrow. The best primary schools in Africa are in urban areas. We’re changing that by building quality school buildings on child-centric campuses to provide an exciting learning environment for rural Africa’s primary school kids. Top schoolteachers also tend to be located in urban areas. To attract and retain the brightest teachers, we build school-adjacent teacher housing. We also provide continuing education, professional development and technology, ensuring that students benefit from the latest teaching methods. Despite living near spectacular natural landscapes, many rural children have never seen their local wildlife. Instead, wildlife is viewed as either a nuisance or an economic resource. We instill the importance of conservation by arranging field trips to national parks and starting eco-clubs to ensure students learn about their unique environments. Our work does not end when construction is complete. We commit to at least a 10-year relationship with each school, providing maintenance, training, and community support. Student performance data is collected regularly to ensure the best possible education outcomes for our kids. Good schools depend on healthy communities. Before we build, we educate people about sustainable farming, water conservation, and other environmental behaviors. Communities commit to protecting their natural resources through “conservation covenants,” agreements including us, and the local education authority. Before the Ilima Primary School opened in September 2014, the community’s only school was a ramshackle building that failed to attract the enrollment of many local children. The new school is built to weather the harsh tropical climate and offers views of the forest. Community members were taught how to build and maintain the school, ensuring that they have employable skills for years to come. 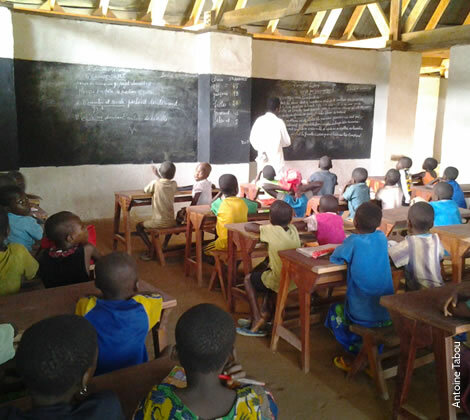 The school was provided in exchange for a community conservation plan that both improves sustainable farming, and protects habitat of the endangered bonobo native to the region. Want to help schools like Ilima grow? In the Sekute community in Zambia, 80% of the population was illiterate. Children were attending school in a mud building that could house only 50 students. Since construction, enrollment has tripled, and the school has become one of the region’s top performers. There is an involved and passionate parent-teacher association, and men and women have registered for adult literacy classes. “I want to work hard so I can go to college when I grow up,” says Joyce, a grade 4 student. Lupani Community School was built as an incentive to protect almost 50,000 acres of critical elephant habitat. Help nurture the dreams of more students like Joyce. Manyara students used to share their schoolyard with elephants, lions and other wildlife — endangering both animals and students. 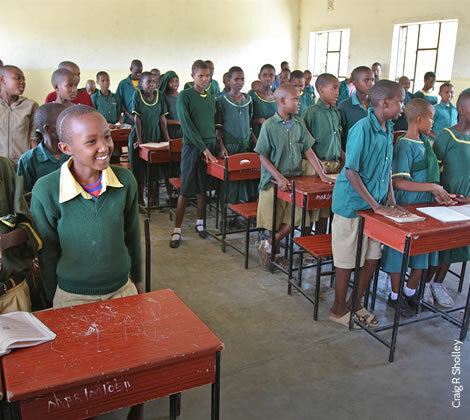 Now in a new location, the recently renovated Manyara Ranch Primary School is equipped with classrooms, dormitories, a cafeteria, IT lab and infirmary. Students can focus on their love for protecting animals in this important wildlife corridor without disrupting them. “I love wildlife animals; they provide income to the country,” says Happy, 13. Give more students like Happy the gift of education. Give OnceJust $50 provides a desk for a young student. Give Monthly$25 provides notebooks for a class for an entire year. Provide education and hope to children in rural Africa. All children deserve to learn, but children living in remote regions across Africa often have limited access to education. Help us bring schools, qualified teachers and an improved quality of life to these communities. Together we can ensure a bright future for rural schoolchildren. You're signed up! Thank you for your interest in helping Africa's rural schoolchildren thrive.